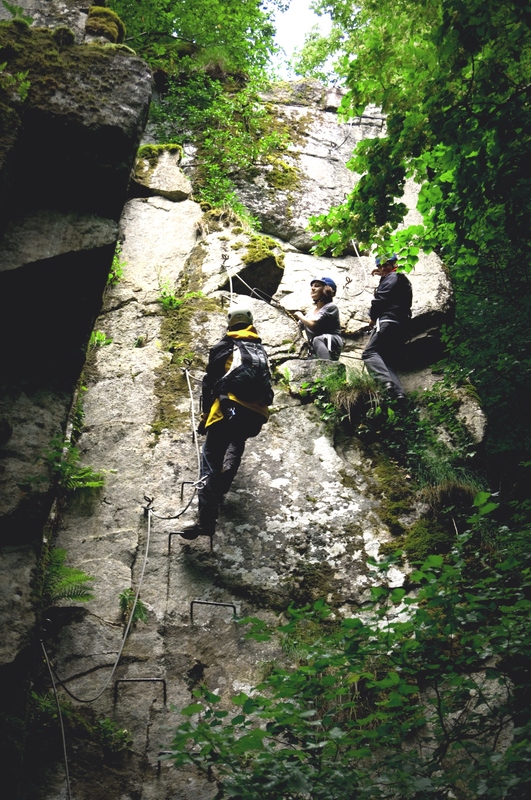 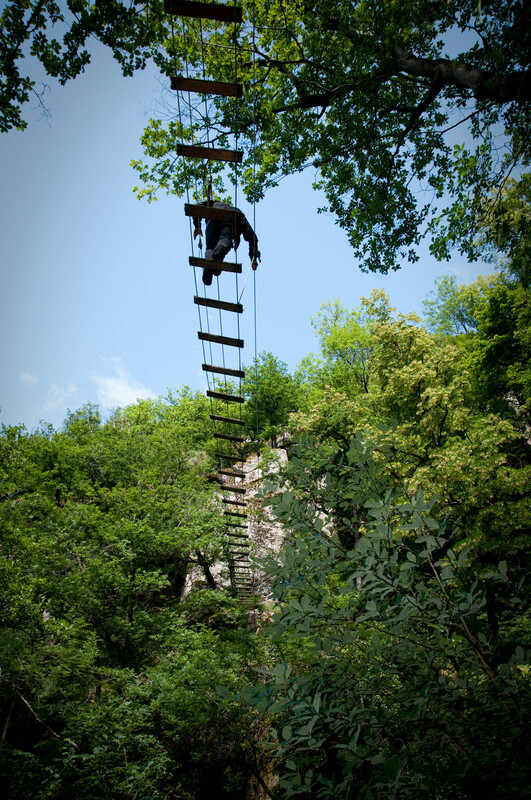 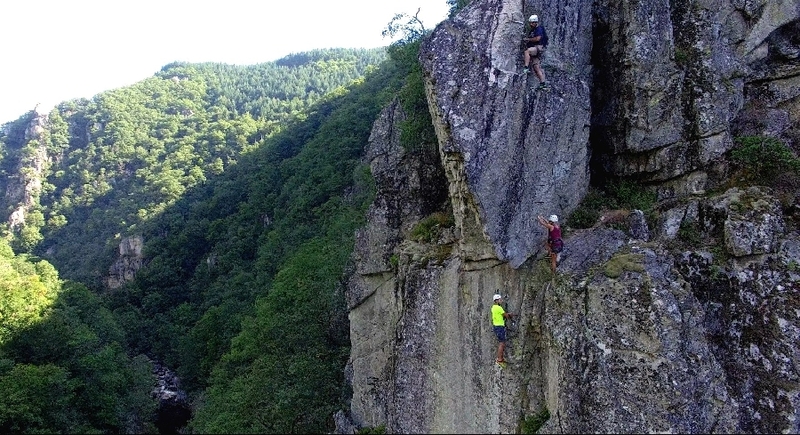 The Via Ferrata of the des Baltuergues woods offers you two routes to discover the Gorges de la Truyère as you have never seen them before. 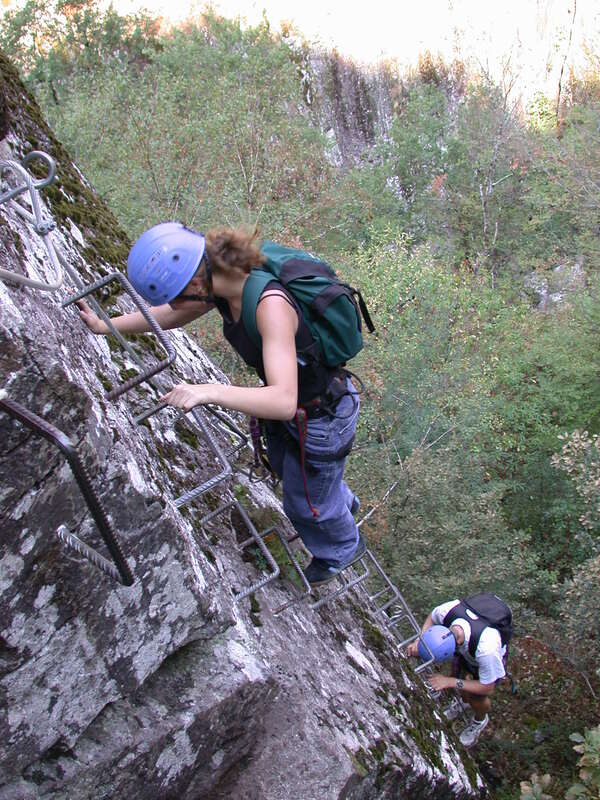 A lifeline and ladders allow you to proceed in complete safety over sudden drops, without any particular climbing training. 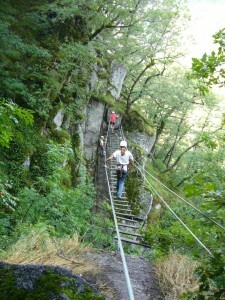 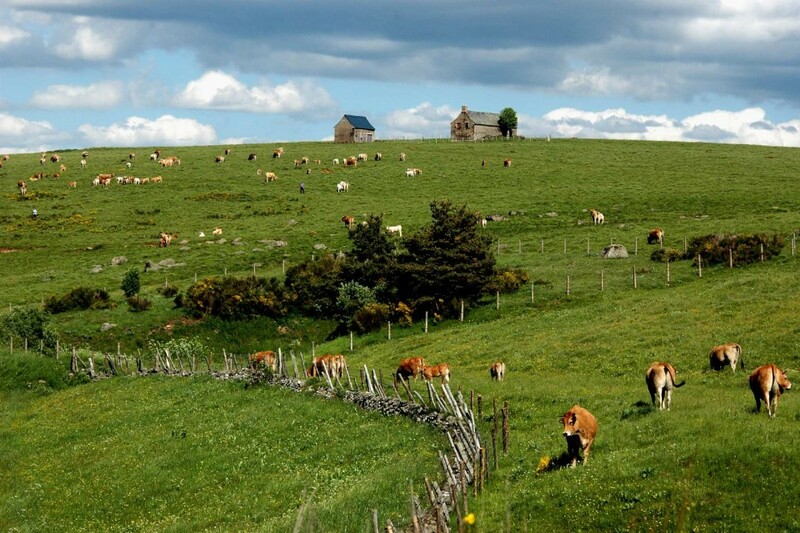 Along the waterfalls and streams which mark the route, nature in the green is offered to you. No doubt you will shiver when you negotiate the pathways and monkey bridges which give you the unique sensation when, suspended above the void, you will need a little courage to get to the other side. 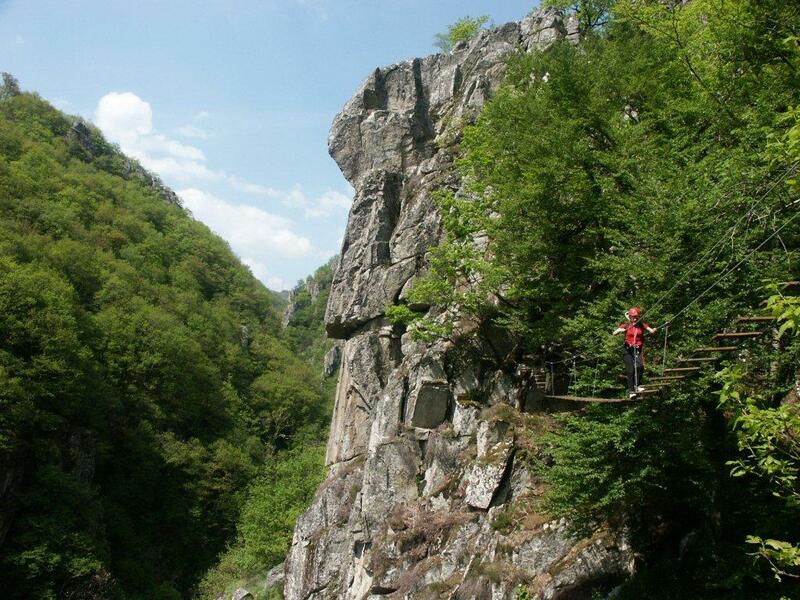 One hour down the route, you have the chance of taking the “sporty” route which descends deeper into the Gorges de la Truyère, or the “family” route where you can return to the start. Via Ferrata is a sporting activity accessible to all but which demands a good physical condition and a strict respect for security rules and procedures. Equipment hire and guides are available.